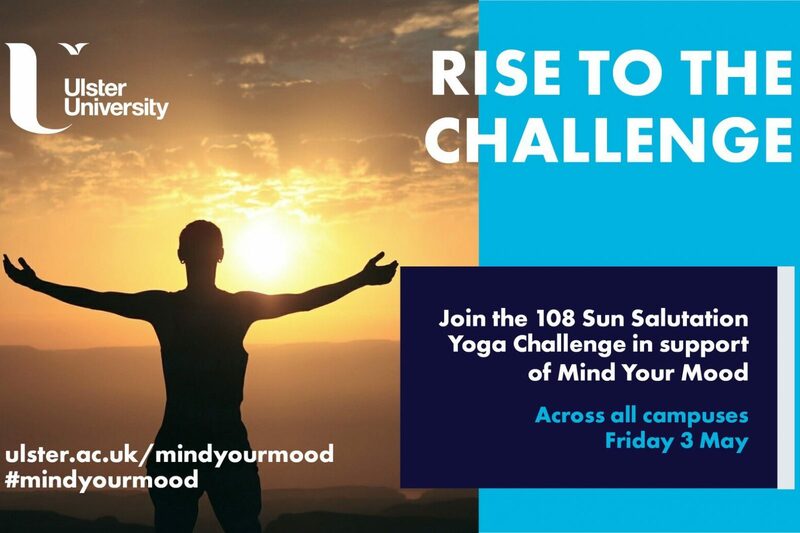 On Friday 3rd May, we ask if you can rise to the challenge of 108 sun salutations! And if that seems a bit too much, then make it teamwork and join a relay version of 6 people x 18 sun salutations each, or 3 people doing 36 rounds each. As you can see from the pictures below we have lots of options to modify the practice, including for people needing to be in, or holding, a chair. You can raise sponsorship money or simply join in for the fun and make a voluntary contribution on the day. Register online via the UU website. You'll need to get some practice in between now and then. Here are some studios and classes where you can either attend a regular class including some sun salutations. We'll soon add some specific challenge practice classes, so pop back here or check social media. Open practice Tues 7.30-9.30 and Thur 3.30-5.30 - Claire will be doing a few rounds each session - turn up and join in. YogaQuarter, Belfast - as a vinyasa flow style there are sun salutations in class anyway, and soon YQ will have specific practice classes which we'll post here, as they're doing 108 sun salutations for midsummer too! Ita Manderson, Hillsborough - as her regulars will know, already a keen advocate of sun salutations in classes! Note on the day Louise teaching 10.30am taster class, Jeanette 12.30pm and Lisa or someone from Yoga Loft 4pm. Linda Stevenson will be helping with the challenge at Coleraine - she teaches in Ballymena. Sarah Davidson, William Grant (teaches at Derry Yoga & PIlates Centre and elsewhere), Diane Bliss, John Bell, Laura Norris and Sophie Dechant are all supporting the event at Magee. Click on their names for links to their facebook pages or websites to find out where they are teaching in the Derry area. Taster classes at Magee are 10.30am Sophie Dechant, 12.30pm Diane Bliss and 4pm William Grant - sign up now via the UU website! We have made some videos to help you practice, showing some suggested standing and seated modifications: view on our YouTube channel. We'll be doing the challenge to the Kai Franz sun salutation music - note that they count rounds as one on each side (R leg, L leg). We're counting that as two rounds, so the linked track is six in total. Perhaps you've never tried yoga, or don't fancy the sun salutations? Then instead you can attend one of the free taster classes which will be held at each venue and held at 10.30-11.15am, 12.30-1.30pm and 4-5pm. Donations towards the Mind Your Mood cause gratefully accepted. You also need to register online via the UU website. Practice pictures below kindly drawn for us by yoga teacher and artist Tory Campbell.